Scarce and unusual oversized silver Art Deco vintage wrist watch by Nicolet circa 1920. 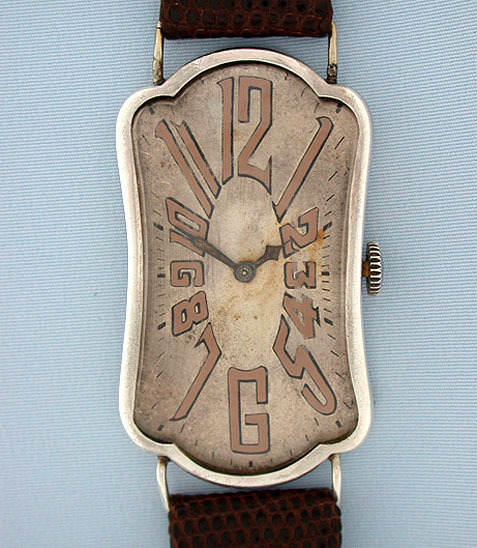 Attractively aged original silver dial with exploding numerals. 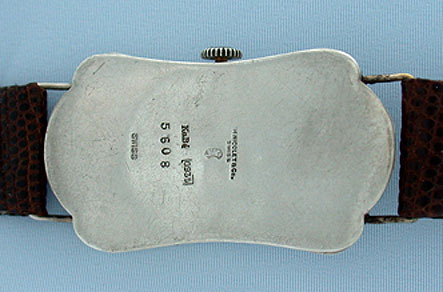 Unusual shaped case. 15 jewel 3 adjustment movement.